BINGO! Night for Operation God Bless America Ride on June 7, 2015. Prizes to include: Vera Bradley; Silpada; Coach; Cash and much more! Pre-registration for OGBA Ride for Vets will be available at the M&S Cycle Swap Meet at M&S Harley Davidson at 160 Falling Spring Rd, Chambersburg, PA 17202 from 9 AM - 3 PM. Pre-registration for OGBA Ride for Vets will be available at the M&S Cycle Open House at M&S Harley Davidson at 160 Falling Spring Rd, Chambersburg, PA 17202 from 9 AM - 4 PM. Did you want to preregister for the Operation God Bless America Ride but missed the event at M&S Harley-Davidson this past weekend? Do you wish you could get another chance? Well now you can! What: Preregister at the parts counter and ask for Mark Kuhn. Mark will register you for the ride and you can avoid the lines Sunday AM. This is an early "Save the Date" event posting for the annual Operation God Bless America Ride to the Martinsburg VA. This will be the 25th annual ride so we are shooting for 2500+ bikes to attend. Do you ride a bike? Do you know someone that does? Please share this event and get the word out. Please help the Vets by making a tax deductible donation via GoFundMe. 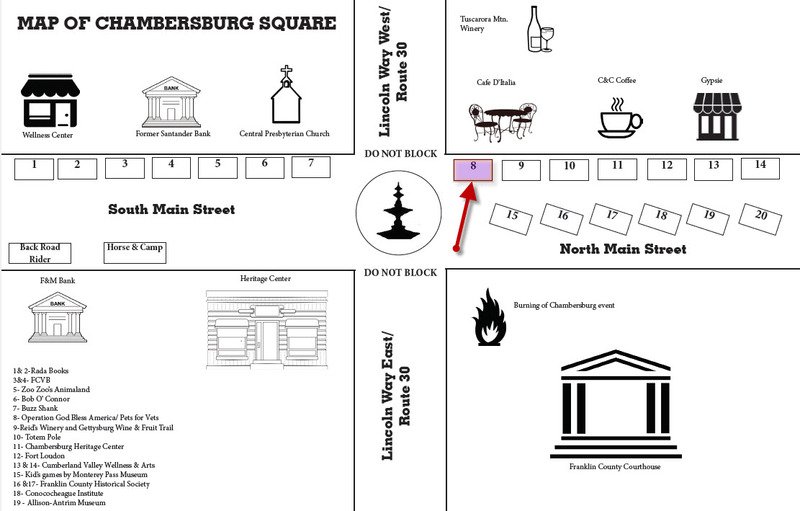 Operation: God Bless America will be at "1864: The Burning of Chambersburg", Saturday July 18 from 6 PM to 8 PM. Stop by and see us at table #8 in front of Cafe D'Italia, and pick up your flyer for next year's ride!